John Hickenlooper didn’t start the I-70 boondoggle, but it’s on track to get built on his watch. And he seems fine with that. In fact, he comes across as proud. Highway Hick condones a massive I-70 expansion. Hickenlooper has stayed quiet about the massive highway expansion project slated for north Denver, and his office took its time before responding to Streetsblog’s inquiry about his position on the project. But yesterday a spokesperson finally sent a statement to Streetsblog about where the governor stands. CDOT has been working in partnership with local communities for over a decade to find a solution to the growing infrastructure and congestion challenges facing the I-70 East corridor. This lengthy but important process has brought forward an alternative that will reconnect communities with a new highway cover and public space while also improving the safety and mobility of I-70 East for those that depend on it every day. CDOT’s continued collaboration with local residents and businesses will be critical as this project moves forward. There you have it. A highway expansion that will saddle Denver with more traffic, sprawl, and pollution for generations gets the seal of approval from Hickenlooper because it will “reconnect communities with a new highway cover.” But the cover will cap a tiny fraction of the new, extra-wide road. In case you’re wondering, here’s what reconnecting communities really looks like, and it doesn’t involve gouging an enormous highway trench across the city. 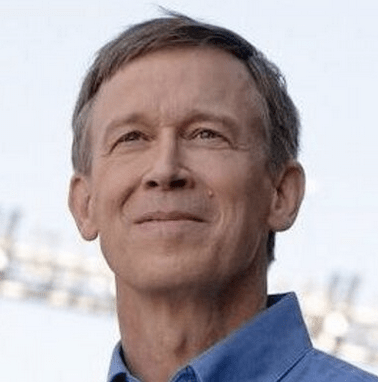 The 13-year planning process that Hickenlooper cites is the same process that spurred fervent opposition, protests, and a lawsuit. It gave Denverites an ultimatum: Let Colorado DOT ram a 1950s-style infrastructure project through the neighborhood, or lose out on flood control and a decent place for kids to play. The billion dollar boondoggle officially belongs to Highway Hick. Are you frickin’ kidding me?! The I-70 widening will most definitely NOT reconnect communities, certainly not the ones adjacent to the project. These communities are about to get steamrolled in the name of “those that depend on (I-70) every day”. Hick is deluding himself and probably thinking “How bad could this expansion possibly be?” — Well, its starting to smell really bad. Governor, you couldn’t be more wrong about the I70 widening project. It is a disaster, especially considering that there is a positive alternative. The project you support DOES NOT connect neighborhoods, just the opposite. This is Pork at it’s worst. I have just lost faith in you as a Governor I voted for. I won’t make that mistake again! I attended the meetings when this whole thing started 10-ish years ago. CDOT reps came in and crammed ONE solution down everyone’s throat. Then, the head of CDOT left and the new one came in. Offered the below-grade solution—everyone was so exhausted from fighting, that this seemed like a miracle. They have NEVER listened to the community members who asked for the whole thing to be moved north, back then or now. I have never understood why govt. officials/staff can’t seem to admit when they are WRONG. Here is a GREAT opportunity to put Denver on the map as a truly progressive city by stopping this huge lumbering piece of wasted money—that will pollute the surrounding neighborhoods even more than it has been. As usual, it seems as if MONEY is doing all the talking and Mr. Hickenlooper’s administration is happy to do the listening.